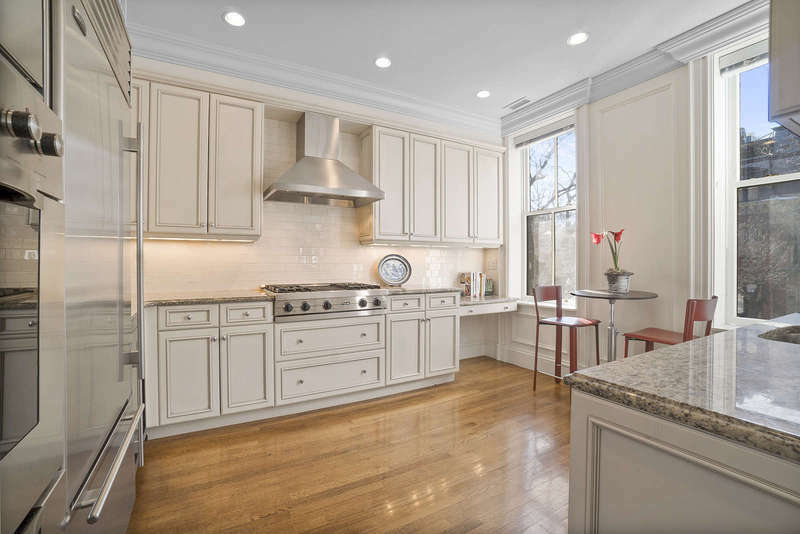 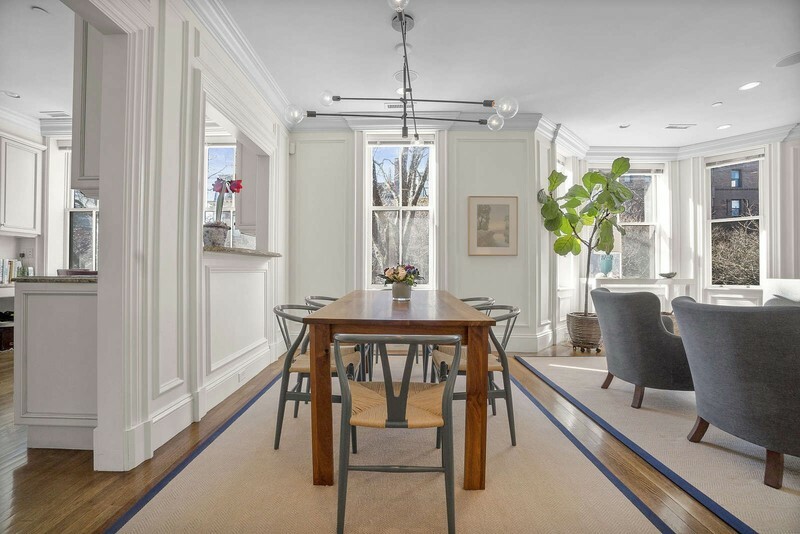 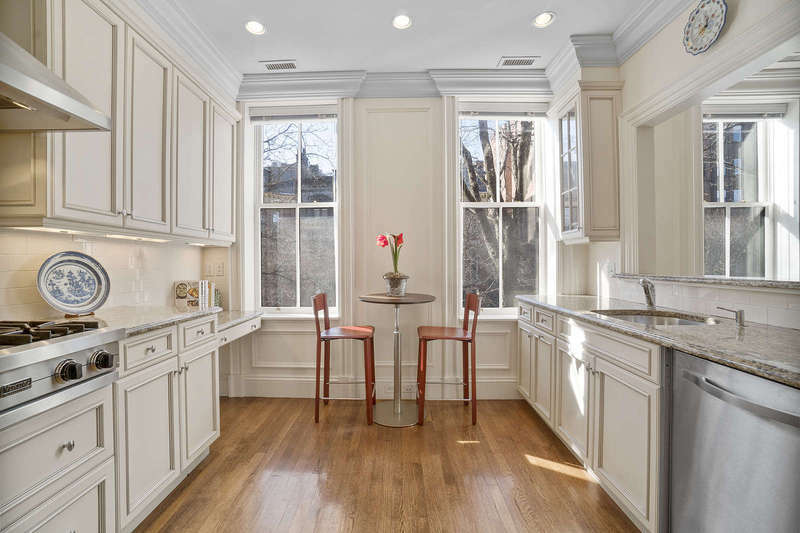 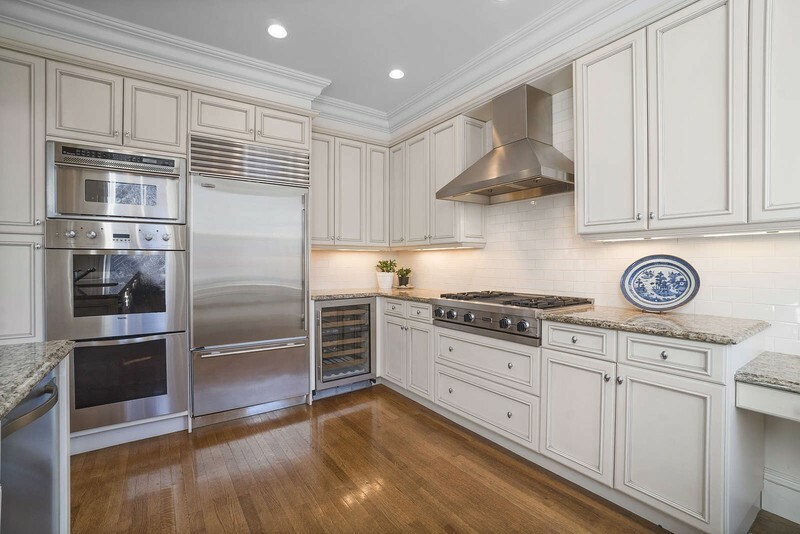 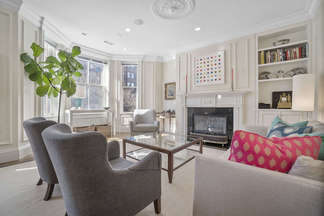 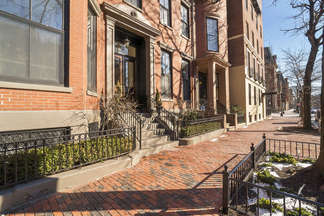 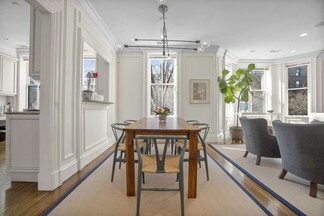 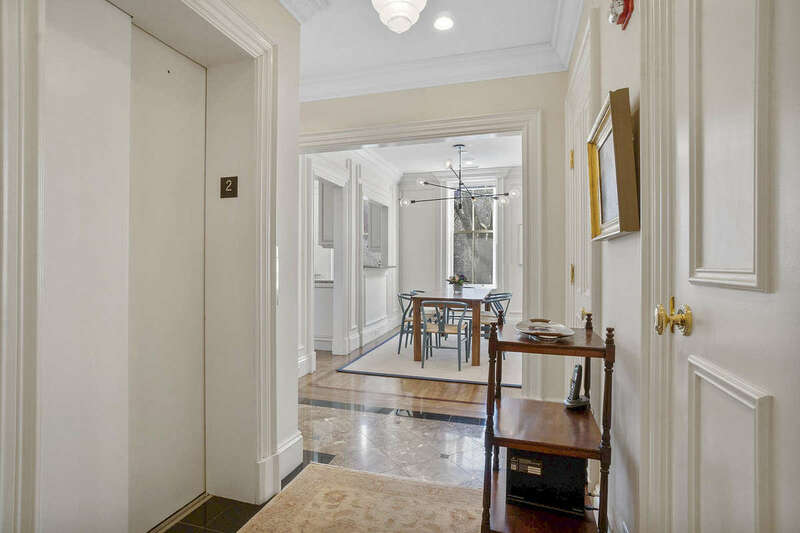 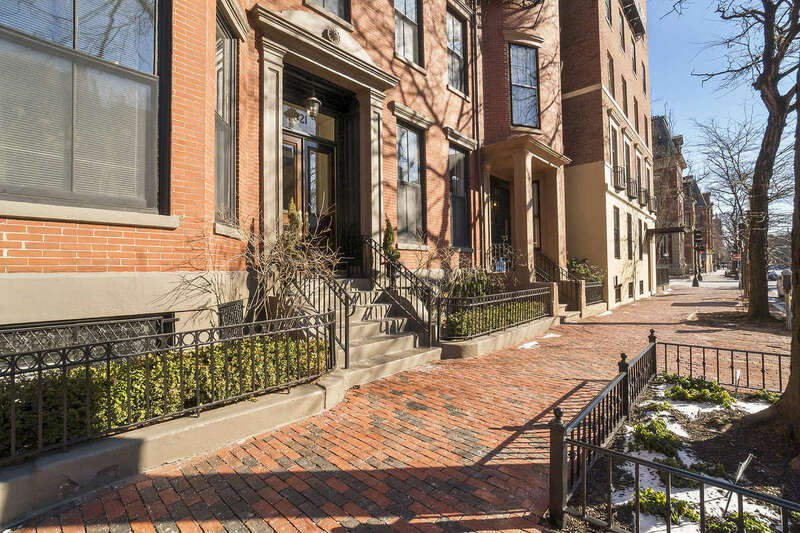 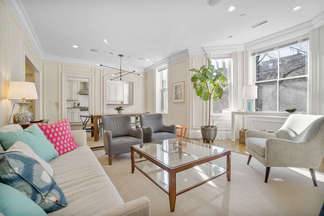 Pristine second floor, floor through two bedroom, two bathroom home with direct elevator access in the heart of Back Bay! 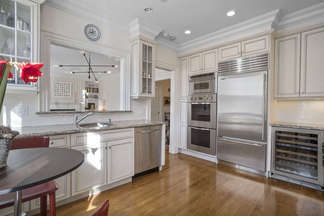 This home offers a gourmet kitchen with state of the art Viking appliances and a breakfast bar that overlooks the living area. 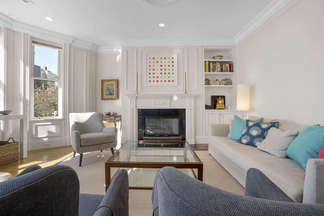 The open living/dining room is flooded with natural light and features a handsome gas fireplace and built-in bookcases. 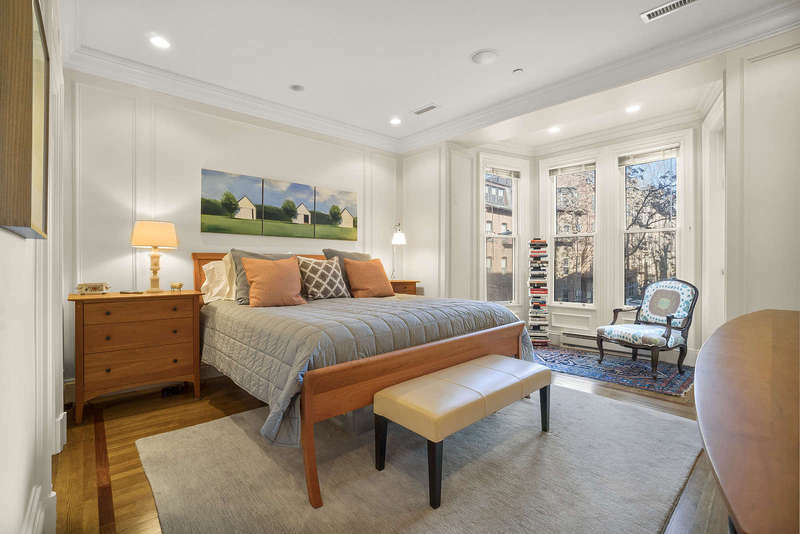 The master bedroom suite features huge windows with views up to Beacon Hill, a walk in closet, and a beautifully renovated marble bathroom with radiant heat floors. 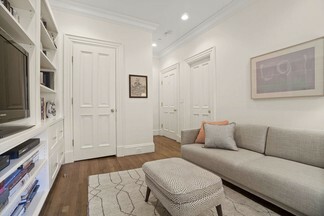 The second bedroom has custom built-in bookshelves and desk area. 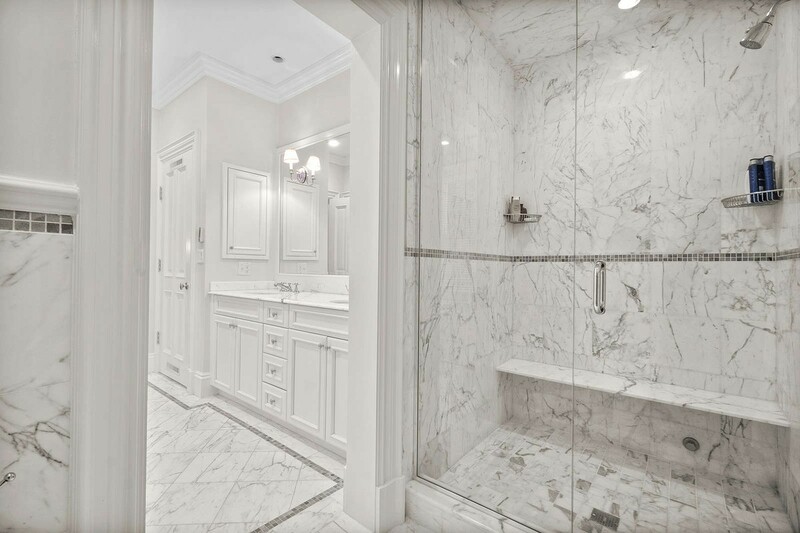 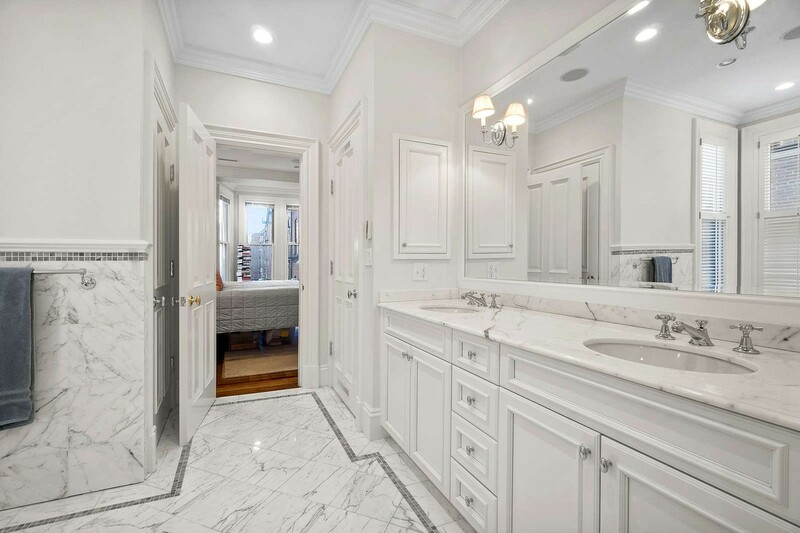 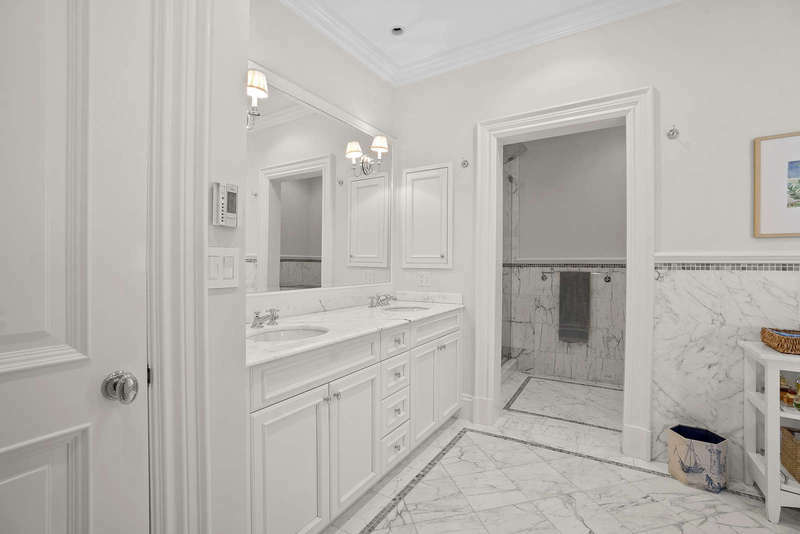 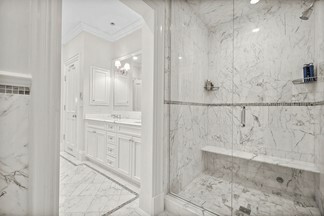 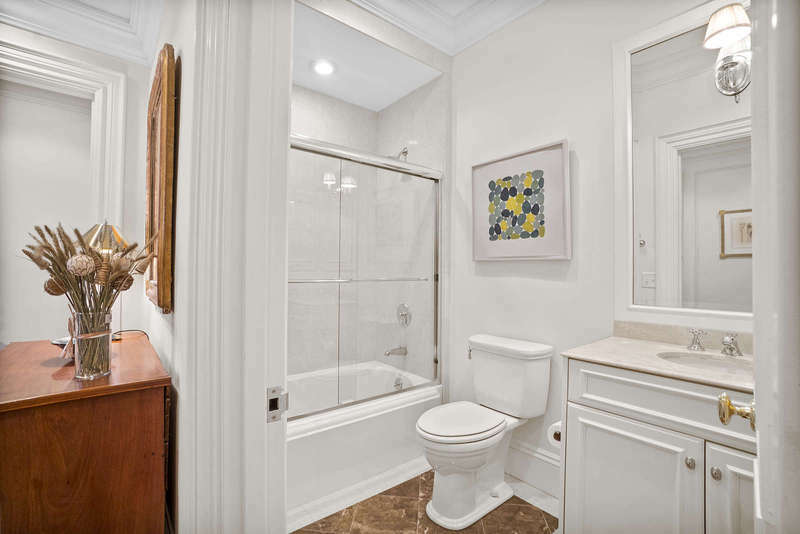 It also has wonderful closet space as well as access to the second full marble bathroom. This stunning condo features 9ft ceilings, hardwood floors, beautiful moldings, central air conditioning, and one tandem parking space included. 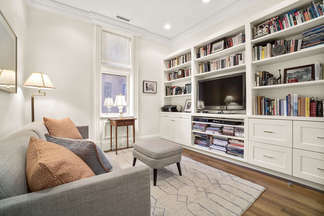 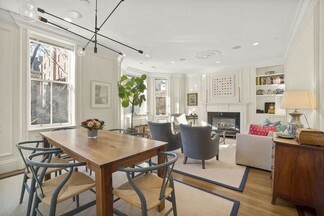 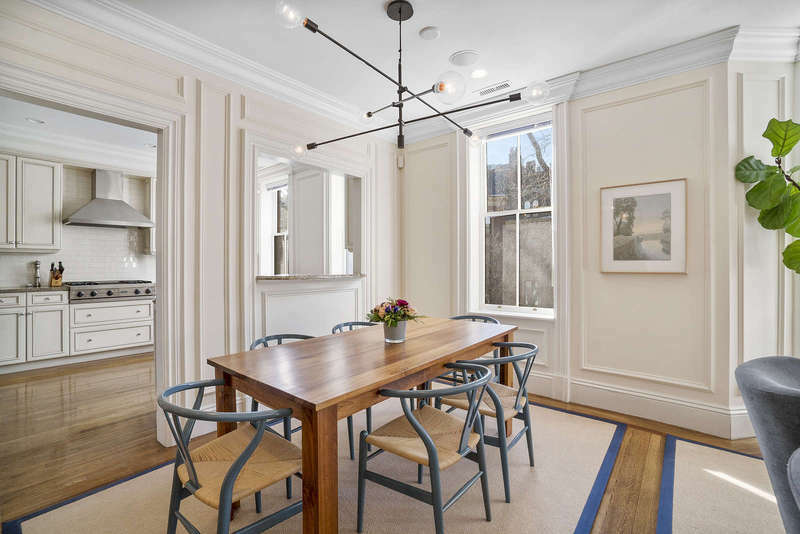 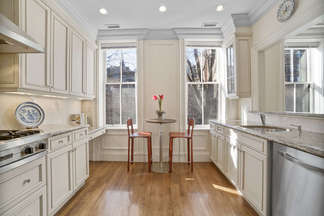 All nestled in a gorgeous pet friendly brownstone with elegant common areas.